Bronislaw M. "Brownie" Wrona, 89, of South Beaver Township, passed on Thursday, July 21, 2011 at his residence surrounded by his loving family. He was born September 25, 1921 in New Castle, son of the late Florian and Frances Wrona. Known affectionately as Brownie, by family and friends, he proudly served his country with the U.S. Marine Corps during WWII. He saw combat action at Roi and Namui Island, Tinian and Iwo Jima where he was present and witnessed the raising of the U.S. Flag. In addition to combat and service medals, he was also awarded a Purple Heart for wounds he received. Following his honorable discharge, he returned home and attended Geneva College for two years. He then had the vision and passion to teach gymnastics. In 1972, he founded, operated and devoted many years of his life to teaching at Wrona Gymnastics. Brownie continued gymnastic instruction until age 74, retired and sold the business, which is now known as Arcadia Gymnastics. In 1960 he was named Beaver County Man of the Year and was later inducted into the Beaver County Sports Hall of Fame. Many will fondly remember the years they spent receiving instruction by Brownie and he cherished and was proud of every student he had the privilege to teach. Brownie also had a keen business mind with an interest in real estate. He planned and developed Elmbrook Estates of South Beaver which eventually grew to become Elmbrook Estates I and II, a venture his family continues to operate. 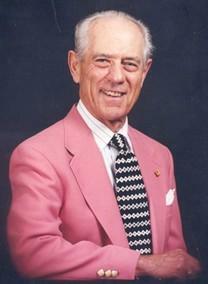 In his leisure, he enjoyed a variety of sports, watching football and basketball, fishing and playing golf. He also enjoyed walking and dancing with his loving wife Ethel. Brownie was an active and faithful member of Chippewa United Methodist Church, Chippewa Township. In addition to his parents, he was preceded in death by his wife Ethel (Bara) Wrona on February 13, 1999; his two brothers: Mac and Leon Wrona; and his sister: Mary Gorgas. Brownie is survived by two daughters and sons-in-law: Sharon and Ed Parker, South Beaver Township; Renee and Ron Globerman, Watchung, NJ; two grandchildren: Michelle Gawley, Hopewell; Samantha Globerman, Watchung, NJ; three great grandchildren: Charles "Charlie" Wrona Gawley, Kenneth "K.C." Gawley, Emily Gawley; and several nieces and nephews. Friends will be received on Saturday, July 30, 2011 from noon until 3 p.m. at the SAUL-GABAUER FUNERAL HOME, INC., 273 Route 68, Rochester (adjacent to Sylvania Hills Memorial Park Mausoleum). A memorial service to celebrate his life will be held at 3 p.m. in the funeral home with Pastor Rod Smith of Chippewa United Methodist Church, officiating. Military Honors will be presented by the Beaver County Special Unit at 3 p.m. in the funeral home. In lieu of flowers, memorial contributions may be directed to the Building Fund of the New Community Life Center of Chippewa United Methodist Church, 2545 Darlington Road, Beaver Falls, PA 15010. Online condolences may be offered at www.saul-gabauer.com. The family wishes to express special thanks to the staff members at Providence Health Care, Beaver Elder Care and the Butler VA Hospital for their kind and compassionate care of Brownie. His dream was to enjoy his family, have health and happiness, and to share his passion of gymnastics with his students..Brownie lived his dream.